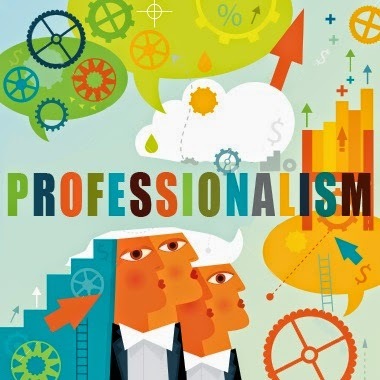 Professionalism is the foundation of workplace behavior, and directly correlated with success. Professionalism is living and breathing by a set of values which underlie whatever one does, conducting oneself according to a specific code of conduct and setting the right example. Whatever professionals do is driven by a purpose. They meet deadlines: Professionals understand the importance of meeting deadlines. They complete their tasks on time, whatever it takes. They inspire this trust that if they are taking care of something, it will be done on time. In unforeseen circumstances that may be a hurdle in the timely completion of work, they inform all the concerned people beforehand. This proactive communication ensures that all stakeholders understand the reasons and plan according. They do not make false commitments: Professionals understand that their words mean a lot and they don’t use them lightly. They never make false commitments because whatever commitments they make, they ensure they fulfill it. Something as small as “I will call you in 5 minutes” and then not calling back is a false commitment. Professionals do not engage in this. Whether it is their co-workers, clients or partners, they are devoted towards fulfilling all their promises, however big or small. They focus on excellence and quality: Professionals do not compromise on quality. They strive for excellence in their work, and not just “good enough”. Their focus on quality of their work is ensures that they put the efforts accordingly, right from the beginning, and ensure the desired outcome. They have a clean and organized workstation: Looking for an important file and can’t find it in the heap of documents piled up on your desk? If you are professional, you will never face this situation. A professional always keep his workstation clean and organised, as a well-managed desk increases one's efficiency. They do not engage in unproductive tasks: Professionals highly value their time and ensure that they use it gainfully. They are always trying out new things, working on projects and taking on additional responsibilities. They are not found engaged in gossiping or any unprofessional activity such as bad mouthing their colleagues or managers. They are punctual: Like they do not believe in wasting their time, they understand the value of others' time as well. Thus they make it a point to reach on time in every scheduled meeting with the client/s or their team. They avoid any kind of delay and prepare themselves well in advance before any appointment with the clients. They take responsibility of what they do: As they say – “If you want to do it, you will find a way to get it done. If not, you will find an excuse.” Taking full responsibility for the work assigned to them is another noticeable quality of professionals. They do not give excuses for why something is not done. They ensure that it gets done, no matter how. Also, they don’t just fulfil responsibilities, they also provide timely feedback regarding the task assigned. In case of unavailability, they delegate responsibility: Taking responsibility also involves transitioning the work to another person in case of non-availability due to some unavoidable reason. This tells how seriously a professional takes his work and how much he stresses on timely completion of an assignment. They lay a lot of emphasis on training, transitioning and delegation, and this is how they ensure that regardless of their availability, their responsibilities are fulfilled. They communicate effectively: Professionals know the art of good communication. They write emails in a proper format, keeping the matter concise and to the point and send them on time. They are prompt in responding to emails and other communication. They ensure proper flow of communication. They respect the privacy of an organization: Professionals are loyal to their organisation and keep all kind of sensitive information be it documents or discussions during the meetings to themselves. They ensure all passages of leakage of information are duly checked and halted to maintain company’s privacy and confidentiality. They make it a point to never ever bring official matters during informal communications or events. How many of these qualities do you demonstrate? Are you a true professional? Professionalism is one of the core values of PCTI Group. Read about our core values here.